and mules with conformation and disposition top priorities. our service animals and animals for sale. Guard Animals–They are good guard animals for sheep, goats and cattle. We have used them with sheep for over 30 years. We don’t recommend using mini-donkeys as they are too small and can be injured by predators themselves. The best size is 46 inches to 52 or 54 inches. 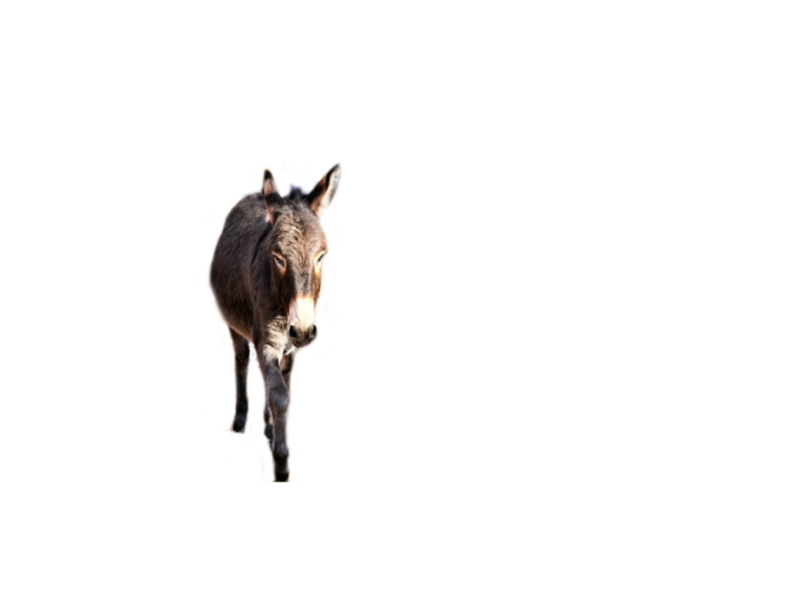 It is best to use donkeys that are three years old or older. Halter Breaking Calves or Colts—Donkeys of standard size are used to halter break. It is best to use donkeys that are three years old and older. Breeding Mares to Raise Mules—Jacks of any size can be bred to any size mare to raise a mule of the size you prefer. Unless you have mares or jennies to breed we recommend having jacks gelded. Riding and Pulling Carts—Donkeys of any size can pull carts and can be ridden. Young children can ride and/or drive mini donkeys and adults can ride large standards and mammoths. Donkeys are not as fast as horse, but are dependable, sensible and easy going. For milking—Jenny donkeys can be milked. Their milk contains ingredients that are beneficial for children with certain medical issues. There are donkey milking farms in Europe and more and more people in this country are becoming aware of its benefits. Companion Animals—Donkeys are good companions for other animals. A horse left alone may become lonely and anxious, and may be much more comfortable with a companion donkey. Donkeys come in all sizes from miniatures to mammoths. Donkeys and mules have a reputation for “being stubborn. All animals have their times of stubbornness and refuse to do what the owners want or expect. Donkeys reaction to fear and uncertainty is the opposite to that of horses. Horses will generally bolt and take off. Donkeys may startle, but may just stop and refuse to move. They are thinking about what to do. The more a person tugs and pulls, the more they will usually resist. With patience and some time and reassurance, they will overcome the uncertainty and then trust that you aren’t putting them in danger. Wagen Trails Ranch © 2018 | Designed by TT Inc.